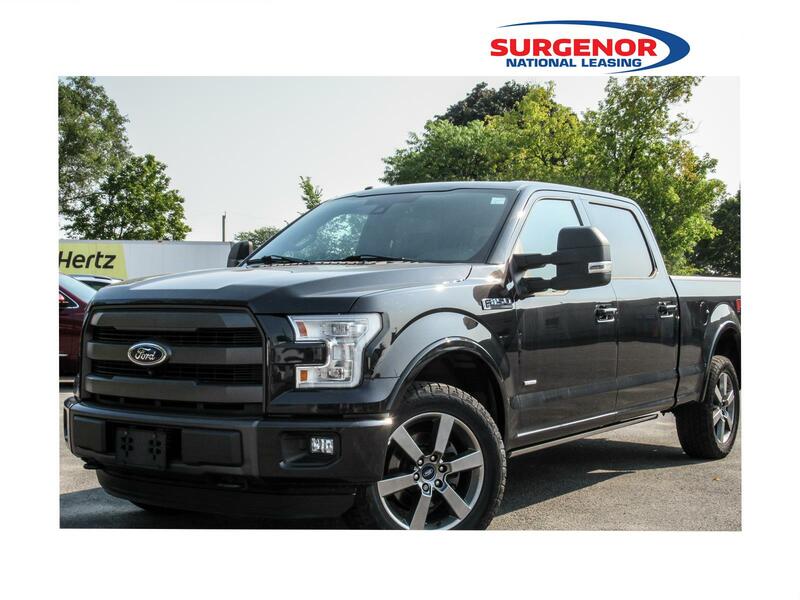 Surgenor National Leasing: New & Used Leasing Dealership | Ottawa, ON. 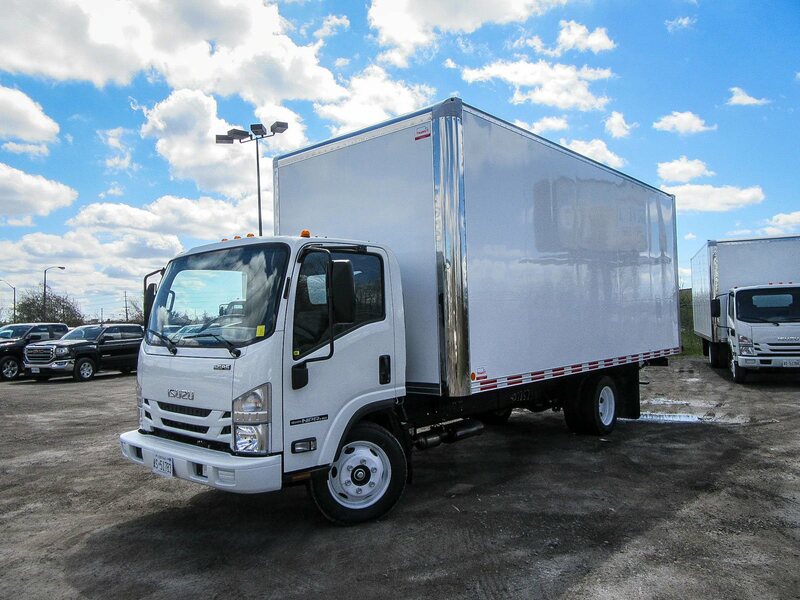 Used 2017 Isuzu NRR. 20ft Box. 20,050 kms. Gas engine. Lease for only $817/month! Disclaimer: UNIT #89659-7. 60 month Lease @ 6.65% APR o.a.c. with 120,000 km. included, 20 cents charged per km. exceeded. Lease special based on price of $49,900.00 plus $399 Lease Acquisition Fee, plus HST. First month's lease payment of $923.26 including HST, OMVIC fee of $11.30 including HST, Down payment of $2,260.00 including HST, and $950.00 refundable security deposit (total of $4,144.56 incl. HST) due on delivery. Lessee guarantees lease end value of $9,000.00 + HST at end of lease. License, insurance, and maintenance not included in lease. Daily Rental. Decals will be removed. Used 2017 Isuzu NRR. 20ft Box. 15,273 kms. Gas engine. Lease for only $829/month! Disclaimer: UNIT #89647-2. 60 month Lease @ 6.65% APR o.a.c. with 120,000 km. included, 20 cents charged per km. exceeded. Lease special based on price of 50,500.00 plus $399 Lease Acquisition Fee, plus HST. First month's lease payment of $936.50 including HST, OMVIC fee of $11.30 including HST, Down payment of $2,260.00 including HST, and $950.00 refundable security deposit (total of $4,157.80 incl. HST) due on delivery. Lessee guarantees lease end value of $9,000.00 + HST at end of lease. License, insurance, and maintenance not included in lease. Daily Rental. Decals will be removed. 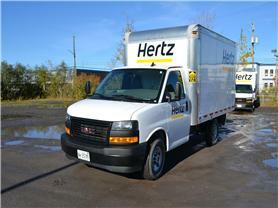 2017 Used GMC Savana Cube Van w/16ft Box. 30,805 kms. Gas engine. Lease for only $575/month! Disclaimer: Unit 89707-4. 60 month Lease @ 6.65% APR o.a.c. with 120,000 km. included, 20 cents charged per km. exceeded. Lease special based on price of $34,995.00 plus $399 Lease Acquisition Fee, plus HST. First month's lease payment of $649.78 including HST, OMVIC fee of $11.30 including HST, Down payment of $2,260.00 including HST, and $650.00 refundable security deposit (total of $3,571.08) due on delivery. Lessee guarantees lease end value of $5,500.00 + HST at end of lease. License, insurance, and maintenance not included in lease. Daily Rental. Decals will be removed. 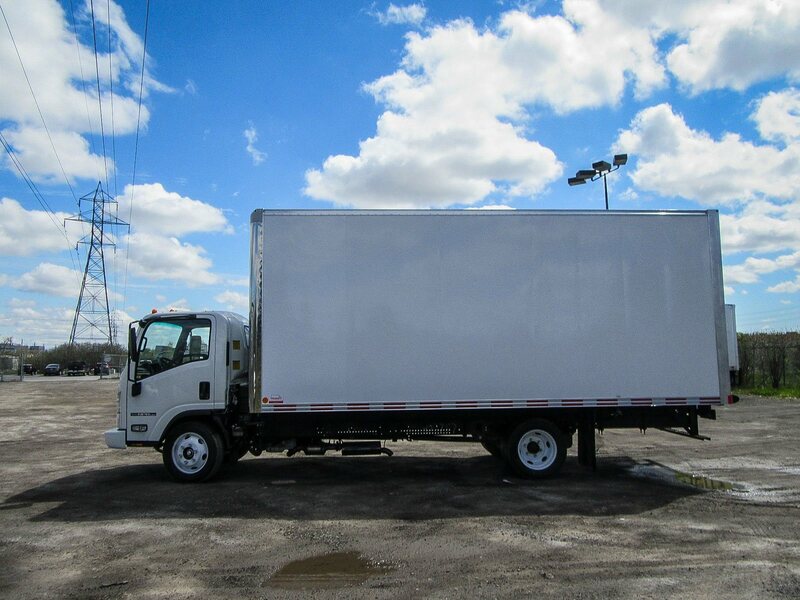 A perfect truck for your growing business! Lease for only $1,168/month! Disclaimer: HERTZ Unit# 89397-4. 60 month lease @ 6.65% APR O.A.C. with 120,000kms included, 20 cents charged per km exceeded. 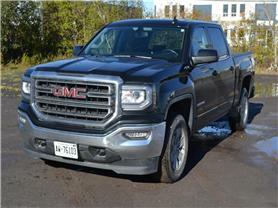 Lease special based on price of $75,795.00. First month's lease payment of $1,320.02 incl HST, OMVIC fee of $11.30 incl HST, Down payment of $8,588.00 incl tax, and $1,325.00 refundable security deposit (total of $11,244.32) due on delivery. 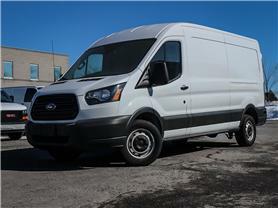 Lessee guarantees lease end value of $12,225.00 plus HST at end of lease. License, insurance and maintenance not included in lease. Daily rental. Decals will be removed. MAXFORCE 7 - 6.4L diesel engine ALLISON 2200 HS automatic transmission Air Conditioning. Lease for only $839/month! Disclaimer: HERTZ Unit #89230-7. 60 month lease @ 6.65% APR o.a.c. with 120,000kms included, 20 cents charged per km exceeded. Lease special based on selling price of $53,795.00 plus $399 Lease Acquisition Fee, plus HST. First month's lease payment of $948.43 incl. HST, OMVIC fee of $11.30 incl. 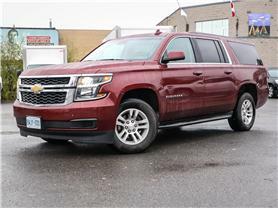 HST, Down payment of $6,102.00 including HST, and $950.00 refundable security deposit (total of $8,011.73) due on delivery. Lessee guarantees lease end value of $8,100.00 plus HST at end of lease. License, insurance and maintenance not included in lease. Daily Rental. Decals will be removed. Cummings ISB 220hp Engine, Allison 2200HS Automatic Transmission. 5.86 Rear Axle Ratio. Air Conditioning. Lease for only $1,1120/month! Disclaimer: HERTZ Unit #89438-6. 60 month lease @ 6.65% APR O.A.C. with 120,000kms included, 20 cents charged per km exceeded. Lease special based on price of $72,595.00 plus $399.00 Lease Acquisition fee, plus hst. First month's lease payment of $1,265.93 incl. 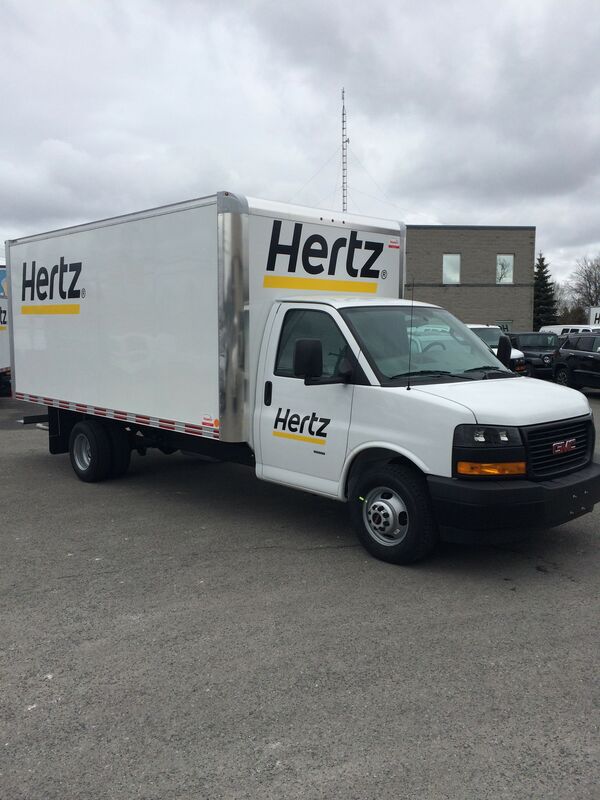 hst, OMVIC fee of $11.30 incl hst, Down payment of $8,249.00 including hst, and $1,275.00 refundable security deposit (total of $10,801.23) due on delivery. Lessee guarantees lease end value of $11,600.00 plus hst at end of lease. License, insurance and maintenance not included in lease. Daily Rental. Decals will be removed. 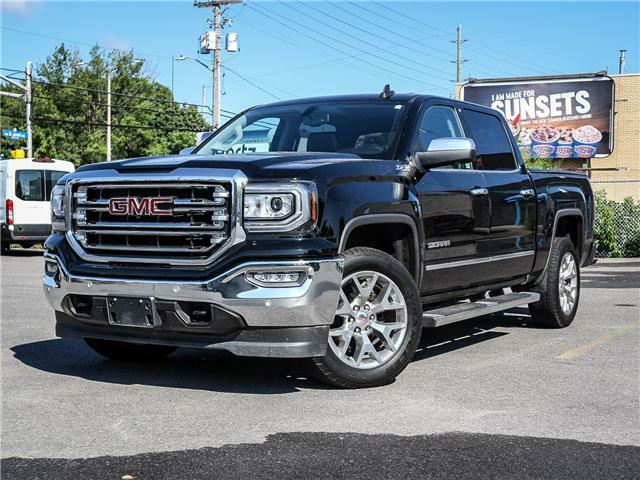 2017 GMC Sierra Crew Cab 4WD. Taxes and licensing are extra. Daily Rental. Lease for only $519/month! 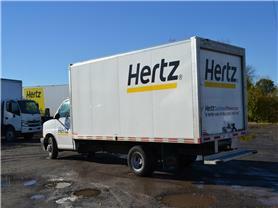 Disclaimer: HERTZ #89612-6 60 month lease @ 6.65% APR O.A.C. with 120,000 kms included, 15 cents charged per km exceeded. Lease special based on $36,575.00 plus $399 Lease Acquisition Fee, plus HST. First month's lease payment of $586.45 incl. HST, $2,260.00 down payment incl. HST, OMVIC fee of $11.30 incl. tax, and $600.00 refundable security deposit (total of $3,457.75) due on delivery. 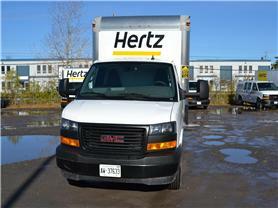 Lessee guarantees lease end value of $11,700.00 plus hst at end of lease. License, insurance and maintenance not included in lease. YES, we take trade-ins! Ask us how you can protect this truck from damage due to road salt. Disclaimer: Unit# 48909A 60 month lease @ 6.65% APR o.a.c. with 120,000 kms included, 15 cents charged per km exceeded. Lease special based on $42,995.00 plus $399 Lease Acquisition Fee, plus HST. First month's lease payment of $733.66 incl. HST, $2,260.00 down payment incl. HST, OMVIC fee of $11.30 incl. tax, and $750.00 refundable security deposit (total of $3,754.96) due on delivery. 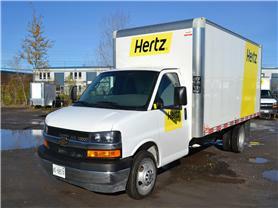 Lessee guarantees lease end value of $11,350.00 plus hst at end of lease. License, insurance and maintenance not included in lease. 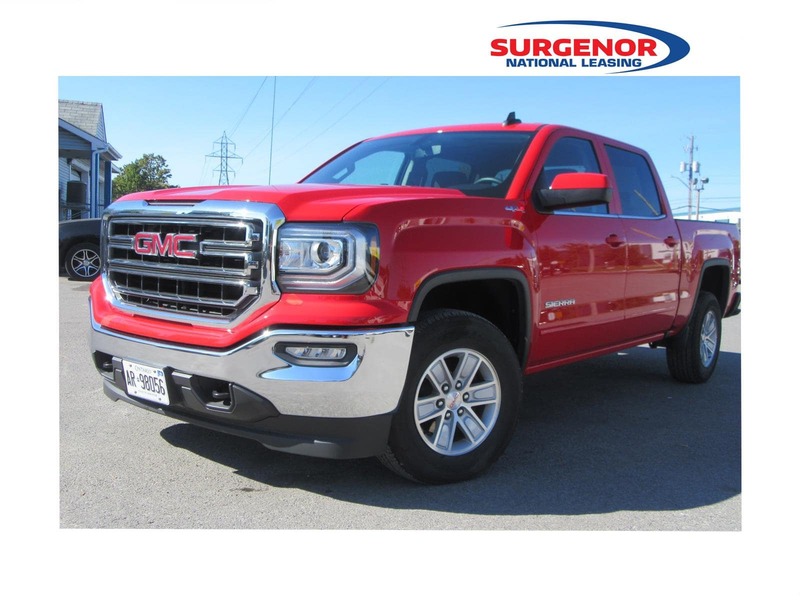 Disclaimer: Low mileage 2016 GMC Sierra W/T 4WD. Ecotec3 5.3L V8 Engine. 6-spd Automatic transmission. Climate Control. 17" Wheels w/ 17" All-Season Tires. . Cloth Split Front Bench Seat. Vinyl Floor Covering. Tilt Steering. Tailgate Lock. Power Door Locks. Transmission Fluid Cooler. Tire Carrier Lock. HID Headlamps. Tire Pressure Monitor. Cruise Control. AM/FM Stereo w/4.2" Colour Screen. Cargo Tie Downs. Trailering Package. Rear Chrome Bumper w/Cornersteps. Taxes and licensing are extra. Previous Daily Rental. 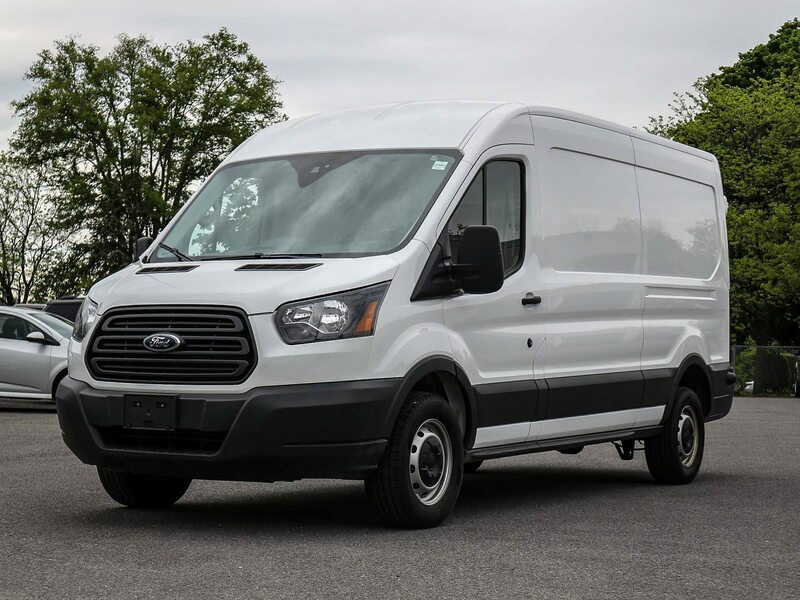 Ford Transit offers you the space you need for tools, equipment and cargo! Balance of Ford's factory warranty. We can even help you with shelving and ladder racks or your company logo. Lease Special for only $559/month! Disclaimer: #52959. 60 month lease @ 6.65% APR O.A.C. with 120,000 kms included. 15 cents charged per km exceeded. 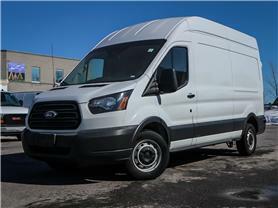 Lease special based on selling price of $36,995.00 plus $399.00 Lease Acquisition Fee plus HST. 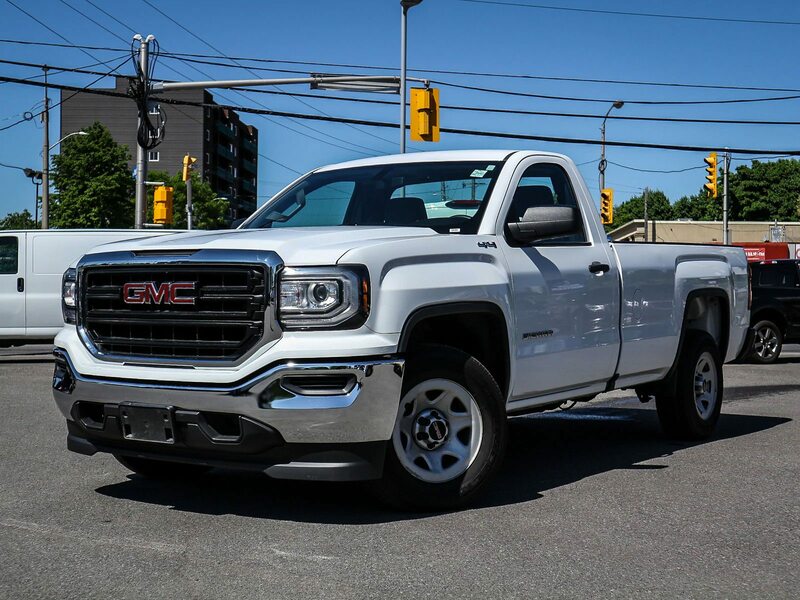 First month's lease payment of 632.14 incl HST, OMVIC fee of $11.30 incl HST, Down payment of $2,260.00 including HST and $650.00 refundable security deposit (total of $3,553.44) due on delivery. 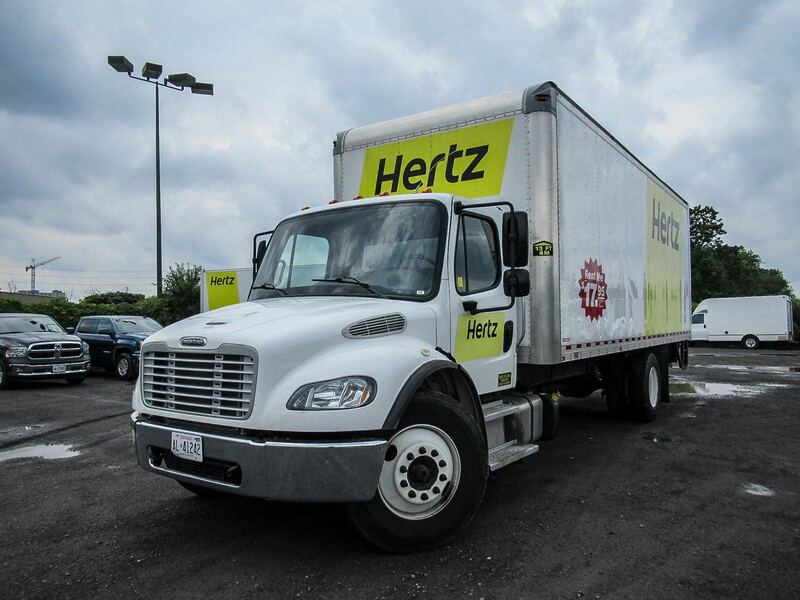 Lessee guarantees lease end value of $9,400.00 + hst at end of lease. License, insurance, and maintenance not included in lease. Send me exclusive offers and promotions. View DisclaimerBy submitting your email address or phone number, you allow us, Surgenor National Leasing, to include you on our contact lists to send you information about our products, services and promotions. You may revoke consent at any time by clicking on the "Unsubscribe" link in your email. 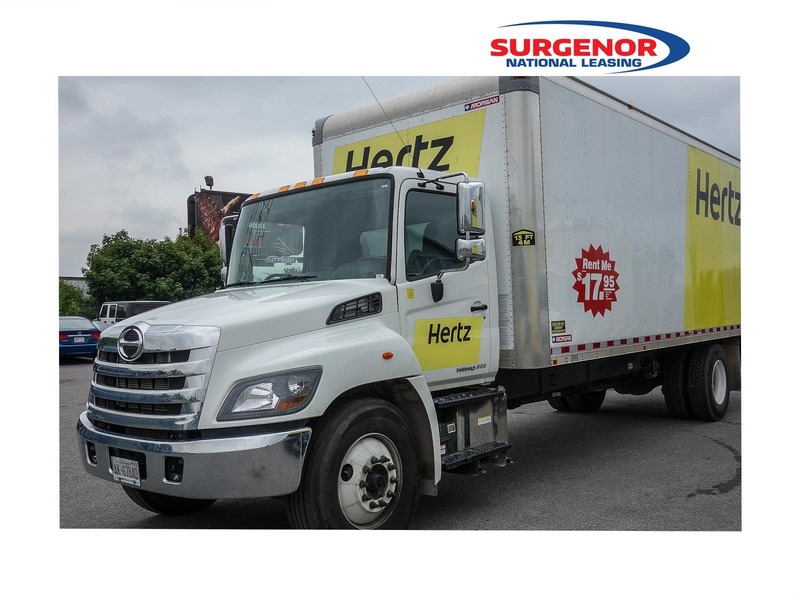 Surgenor National Leasing is an independent national vehicle leasing company located in Ottawa, Ontario. Over the last 40 years, Surgenor National Leasing has been serving vehicle needs of business professionals, government agencies, not-for-profit organizations and companies large and small. We handle accounts in the Ottawa-Gatineau area, as well as nationally, so no matter where our clients go, we can be there for them. We also offer sales and leasing to individuals and families. Just purchased a 2019 Buick Enclave through Surgenors and the whole experience led by Lee McCoshen and coordinated with Surgenor National Leasing and Surgenor Barrhaven was fantastic and couldn't have gone better. I highly recommend the whole Surgenor team for all you vehicle needs. Thank you all, Jeremy M., Gloucester, ON. Just completed my first transaction with Lee of Surgenor National Leasing. Nothing but good things to say. From initial contact through to signing, Lee was clear. He made a complicated acquisition simple. I look forward to working with Lee Mccoshen in the future, painless and professional. Thanks!